Our quick, virtual tour of the busy Dr J factory. If you’re at all like us, you’re probably a bit curious how Dr J makes original design boutique quality pedals for so little. At the factory we got a look at how it’s all done. From the start, the culture wall sets the tone. This is where Dr J sets the tone for the company. The wall is lined with images of the team and its accomplishments. Next stop the conference room for some high level discussions, then on the meeting room for a traditional ceremonial tea while discussing the products. Then comes materials, production, and testing. Then on to the extensive R&D department where there are many new products being developed. And finally to Dee Leung, the principal designer for Dr J.
We’re really impressed with the factory and product. One thing many players forget is that all the Dr J pedals are original design. Dee has really done a great job of creating original interpretations of some classic pedals and adding his own twist. Says, Tone Report, “Dr. J has taken the build quality, ingenuity and tweakability several steps further, while similarly offering the pedal board-friendly size and extreme value-to-tone ratio.” Click here to read the Tone Report review on the Shadow Echo. We’re partial to the Shadow Echo for it’s spacey vibe, the Sparrow Driver & DI as a no nonsense bass pre-amp and driver, and the Green Crystal for it’s not so straight interpretation of a classic overdrive pedal. But all the pedals are really usable. The Planes Walker Fuzz has both germanium and silicon transistors and does a good job emulating the Supro Sound. And the Aerolite Comp and Armor Buffer and good additions to any pedal board. But don’t take our word for it, check one out now at your local music store and discovery for yourself what Dr J is all about. One of the best values in effects pedals just got even better. A boutique effect pedal for only $99? Sounds unbelievable but it’s true. Dr. J brings “Boutique” tone and vibe to the masses, at a price any musician can afford. With new, lower pricing, any musician can have the tone and features of much more expensive effect pedals. Studio quality effects, for $99! 9 extremely musical, intuitive, and useful effects. Since we lowered the price just one month ago on our Dr J effect line the reviews are starting to come in and it’s all good. Many stores and players are commenting on the quality, build and transparent tone of the pedals. Check out this video review of the Shadow Echo by Andy of ProGuitarShop.com. Click here to learn more about Dr J effect pedals. A Boutique Effect Pedal for $99? Sounds unbelievable, but it’s true! Dr. J brings “Boutique” tone and vibe to the masses, at a price any musician can afford. With new, lower pricing, any musician can have the tone and features of much more expensive effect pedals. Studio quality effects, for $99! The lineup features nine extremely musical, intuitive, and useful effects. Dr. J pedals are designed to be musical tools; they help you to expand your creativity. All pedals feature True-Bypass switching, to preserve your tone, and rock-solid construction. From Top Of The Line Analog Delay, to Studio Quality Compression, to Musical/Dynamic Overdrives and Distortions, Dr. J has you covered. All of this, at a price never seen before in the guitar market. Click here to learn more about Dr J pedals. 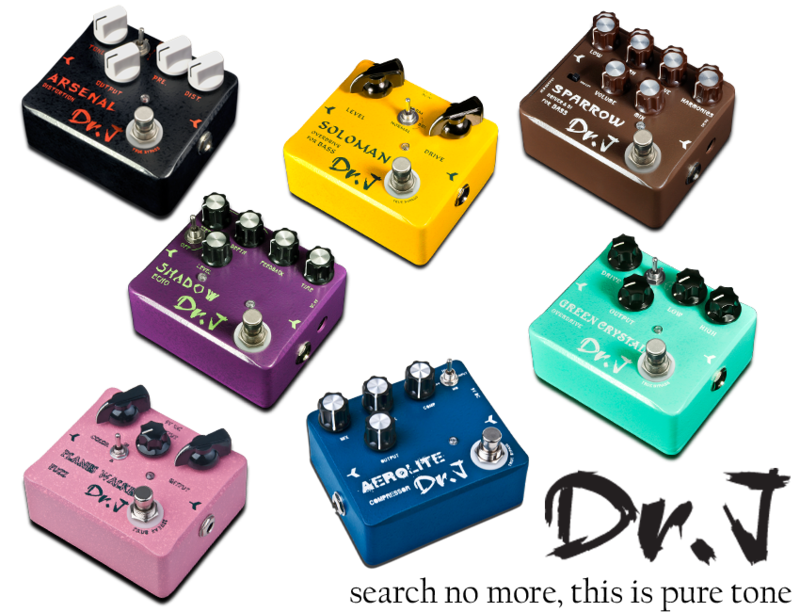 And check out some more of the great sounds from Dr J effect pedals from JMR. Seen enough, are you ready? Click the BUY NOW button for a special offer. While we didn’t attend this year’s edition of Music China, two of our manufacturers were there showing some new products and attracting big crowds. Both Dr J and Mooer had sucessful shows and we look forward to releasing some new and very exciting products in the very near future. 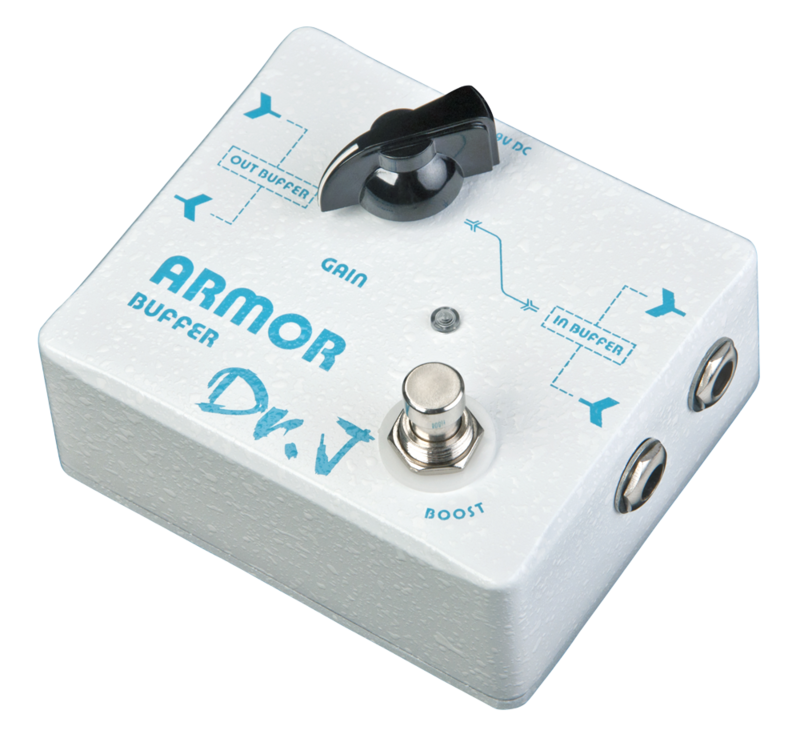 Dr J introduced the Armor Buffer – more about this very cool and very useful pedal soon – and had Jose de Castro perform at their booth. There are some many more new products in the works and we’ll keep you posted here with updates. Mooer Audio introduced several new products at the show and was delighted to be joined by two artists that demonstrated the different product lines. The full line up of the popular Mooer Micro Series was displayed in the booth. Mooer is the leader in micro pedals – many of them are based on vintage sounds, others are unique to Mooer. All of them have the excellent Mooer design and tone, feature True Bypass and are housed in a tough metal shell. One of our artists, Neil Zaza, gave a very passionate, awesome performance showcasing his signature pedal – The Juicer. Artist Jose de Castro demo’d the brand new Spark series as well as many of our different amps and multi-effect pedals.